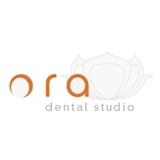 ORA Dental Studio (Chicago) - Book Appointment Online! From the moment you walk into ORA Studios it is obvious that this is not your typical dental office. The atmosphere is modern, tranquil, and inviting, designed for the ultimate in comfort. Our team of highly trained professionals delivers “Five Star” customer service and one-on-one personal attention in a relaxed and aesthetically beautiful atmosphere. We combine state-of-the-art technology, the highest quality restorative materials available today, and advanced procedures through minimally invasive techniques in order to provide you with a naturally beautiful and healthy smile. We invite you to explore our website and learn more about the general, aesthetic, and specialty services that we offer. Take a tour of the Gallery to see some amazing makeovers that are not only stunning, but life changing. Well I didn't really see the dentist. My gums were swollen and i was scared that i might have something more serious. Every time i was brushing it was like a blood bath. Turns out i just had a lot of buildup and he said that all i needed was a deep cleaning. He checked for cavities and that was all. Just a cleaning is all i needed. To be honest, he made me feel so much better. Had been about 5 years since i seen a dentist and he didn't crucify me like a lot of my other bad experiences. This office definitely has kept me as a customer. Oh and the chairs have back massagers! !